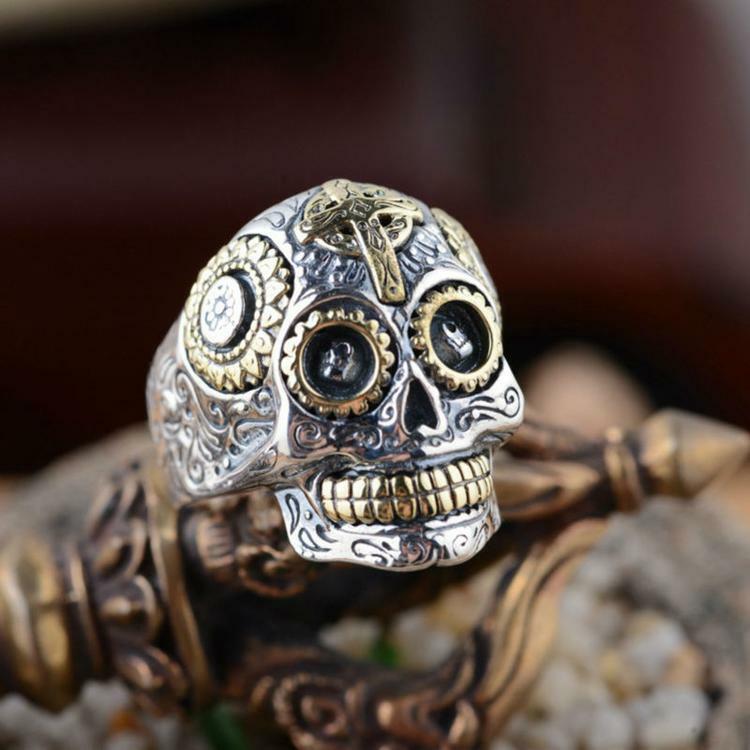 Beautiful Custom made Sugar Skull style 925 Sterling Silver ring. Weighs 21 grams and is 2.6cm in height. Hand carved details with gold accents. Available in US sizes 8 - 14.